I am a Clever Girls Collective Member and was selected this year to be a UbiChamp, unfortunately my erratic schedule meant I wasn't fast enough on the email draw to get in on some of the earlier campaigns this year (total SMURFS envy - ah! I digress....), I shamelessly begged my way in to the Abba You Can Dance Campaign and hosted a 70's themed party this weekend! To say this year has been a mixed bag is a total understatement and we all needed something fun to focus our energies on! My butterfly pals who sadly are not so keen on pictures (they are not bloggers and don't get the whole 'live your life out loud' concept of blogging) threatened me with bodily harm with their heavy platform shoes, so this post won't be as picture happy as my usual. We had wig power, flower power, platforms, bellbottoms and quite a number of peace sign graphic tee shirts in attendance. When I loaded the game, my Wii decided it needed an update, so while it updated, we put in the order for pizza and sodas. I will say I wish I had been able to snap photos of everyone, particularly the guys doing these dances. One of the songs is actually danced with ballet steps, and the hilarity ensued watching the guys doing their best 'black swan' imitations! 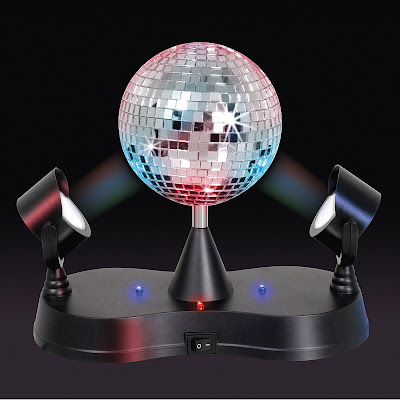 Everyone wanted to steal my Disco Ball! As I wasn't willing to part with it, I offered up a Disco Ball Key Chain to the highest score of the night! This game is not restricted to Abba Fans, if you like Dance style games, you will definitely want to add this one to your collection! I can tell you they are NOT easy, they really make you work! You work up quite a sweat dancing along with this game. If like me, you are an Abba Fan, you'll love that the band's videos and some live performances are part of the background to the songs so you follow along with the instructor, and you also see the Band at the same time playing the song which I thought was pretty cool. 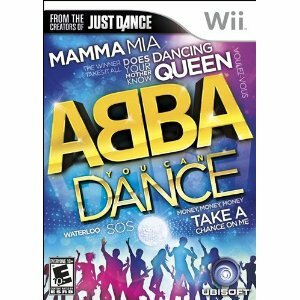 Much like a good book that you just can't put down, you'll find yourself unable to play just one song with Abba You can Dance! FTC Disclosure: Thank you to Ubisoft for sponsoring this blog post. Please click here to learn more about Ubisoft. I was selected for this sponsorship by the Clever Girls Collective. All opinions are my own.